Did you know that plants make people happier? Having something to tend and nurture can make people feel like they have more meaning in their life, even if that just means they are watering a plant every now and then. There are other hidden and not-so-hidden benefits from indoor gardening as well. Improved air quality. Plants filter the air around them, absorbing gases such as benzene, formaldehyde and/or trichloroethylene, and emit oxygen. They also increase humidity levels. Cleaner, more oxygen-rich air will keep your family and pets healthier. What’s the top-rated plant for improving air quality? According to NASA, English ivy does the trick perfectly. Educational opportunities. Different plants thrive on different combinations of sunlight and water. A cactus may be fine for a windowless room, but other plants will wilt and die almost immediately. 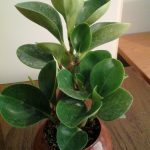 Teaching younger family members about tending houseplants can be a fulfilling experience for elders, and it’s a great way to spend quality time with each other. Veggies and herbs. Perhaps one of the best benefits about growing plants indoors is the opportunity for year-round fresh vegetables and herbs. Basil, parsley and tomatoes all cost money at the store and can be difficult to keep fresh for lengthy time periods. In addition, it’s hard to know for certain if store-bought produce has come into contact with pesticides or preservatives. However, with a thriving basil plant in your window, you can just pluck off a couple healthy, homegrown leaves every time you need them for a recipe. This entry was posted in Tips. Bookmark the permalink. Comments are closed, but you can leave a trackback: Trackback URL.